As we recover from the holidays, and more importantly holiday spending, I have a proposal for you that you won’t be able to resist. 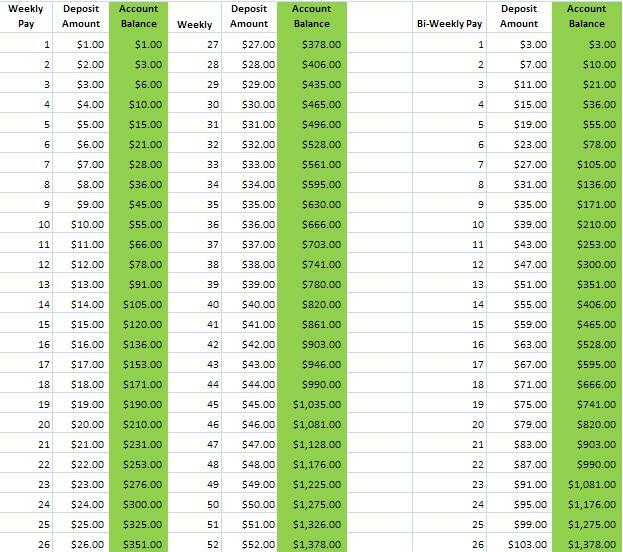 How would you like to save over $1,300.00 this year by saving one dollar the first week? Sounds like it’s too good to be true, well actually it isn’t. « Sneakers & Tux: Supporting Our Youth..
A good way to start a savings.